Maverick Vinales may have used the soft tyre option available to Open class bikes to set his fastest time in FP2 but the Spaniard's lap was superb to finish the day third fastest. 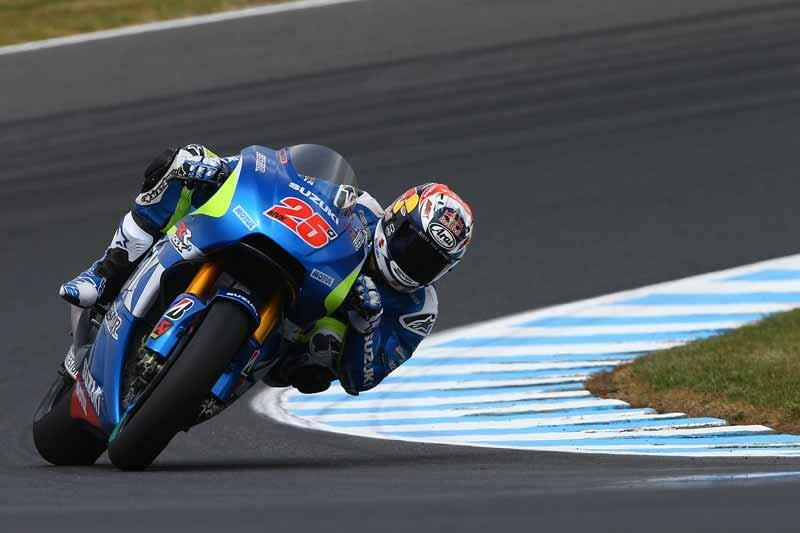 The tyre is worth over half-a-second at Phillip Island and Vinales put it to great effect to set his fastest time to end the day just over one tenth of a second off the pace of Marc Marquez. The rookie was understandably upbeat about his performance and with the Australian track playing to the strengths of the Suzuki he'll be aiming for a Q2 qualifying spot tomorrow. "I feel really good," smiled the former Moto3 world champion. "I feel motivated because the team is working much better than other races. Also I feel great with the bike here. I could push 100 percent. There were a lot of races that I feel like I couldn’t push. In Montmelo and in Brno were the only tracks I could do my best. It’s only Friday so we need to continue working hard." Having struggled at the tighter Motegi circuit that magnifies the weaknesses of the GSXR-R Vinales felt much more at home on the wide open, flowing Phillip Island layout. "The work that we were doing in Japan we put it here in this track. We make a big step in Japan and already here we did another big step. Here is also good for our bike. It’s round corners, we can push a lot. I think we did a good job. Our rhythm looks really good. That’s why I’m surprised. It looks really good. Even with 15 laps in the tyre I could make 1m 30 low, really good like the others.